Guys, Nora loves to read so much. I didn’t think she was ready for chapter books yet, but Jeannie’s birthday gifts (the first of the Junie B. Jones and Secrets of Droon series) got devoured so quickly that we had to start going to the library every week for new volumes of both of those as well as Judy Moody, Amelia Bedelia, and anything by Roald Dahl. 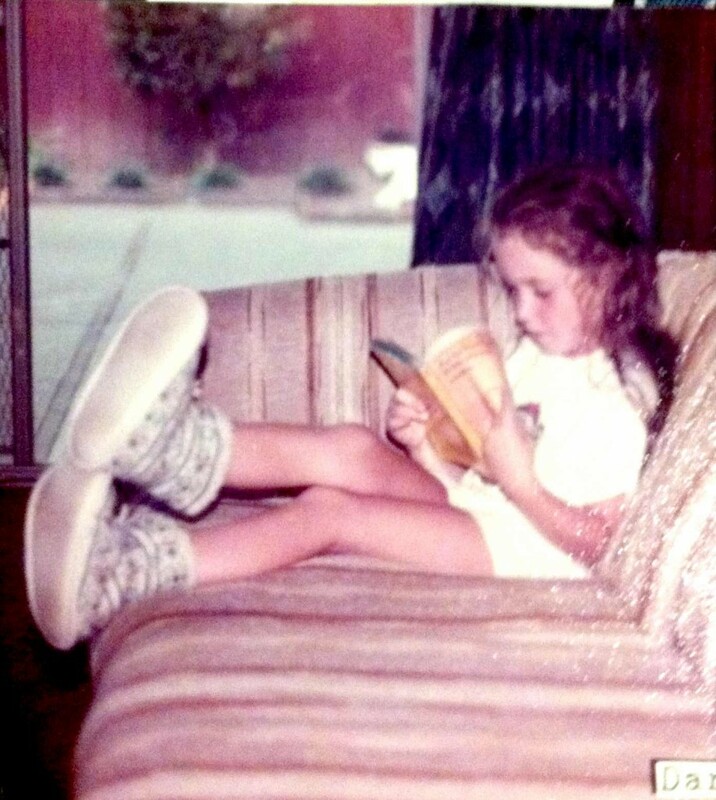 At parent teacher conferences, Miss Stacey told us Nora’s reading at DRA level 24, which I think is somewhere around third-grade level. If she’s putting up a stink about going somewhere, all we have to do is offer to let her bring a chapter book, and she’s sold. My heart is bursting for my little smarty-pants reader-girl, and I’m so proud of her. I love hearing her laugh out loud at something she’s just read, and I can’t wait for her to start reading books that take her to exciting, mysterious places, or that challenge and broaden her worldview, or that warm her heart with their tenderness. But…take it from me, Nora Bean, you can probably wait a few years before reading Are You There God? It’s Me, Margaret. Aaaaand now my eyes are full of tears. 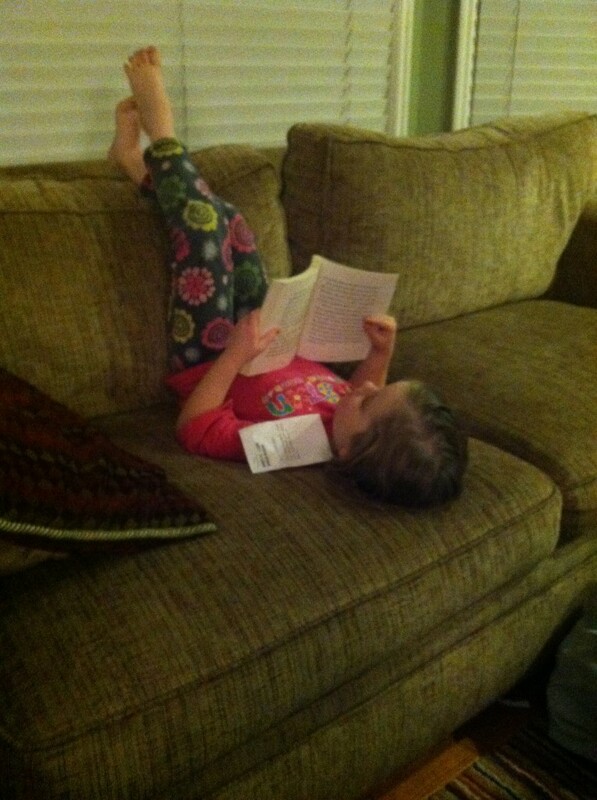 I love the little bookworm. . . please be sure to supply her with a flashlight so she can read under the covers. A perfect stocking stuffer, I have found. You are both girls after my own heart. Cute and cute.